2019 Honda HR-V LX Deep Ocean Pearl 28/34 City/Highway MPG Proudly Serving: Shelby. Gastonia, Charlotte, Asheville, Hickory, Stateville, Mathews, Rock Hill, Spartanburg, Lincolnton, and all of greater North Carolina and South Carolina. All prices are plus tax, tags and $699 Dealer Admin Fee. With Approved Credit. Not all buyers will qualify. Dealer is not responsible for any errors stated on this vehicle's condition and/or price. 2019 Honda HR-V LX Deep Ocean Pearl 27/31 City/Highway MPG Proudly Serving: Shelby. Gastonia, Charlotte, Asheville, Hickory, Stateville, Mathews, Rock Hill, Spartanburg, Lincolnton, and all of greater North Carolina and South Carolina. All prices are plus tax, tags and $699 Dealer Admin Fee. With Approved Credit. Not all buyers will qualify. Dealer is not responsible for any errors stated on this vehicle's condition and/or price. 2019 Honda HR-V Sport Platinum White 28/34 City/Highway MPG Proudly Serving: Shelby. Gastonia, Charlotte, Asheville, Hickory, Stateville, Mathews, Rock Hill, Spartanburg, Lincolnton, and all of greater North Carolina and South Carolina. All prices are plus tax, tags and $699 Dealer Admin Fee. With Approved Credit. Not all buyers will qualify. Dealer is not responsible for any errors stated on this vehicle's condition and/or price. 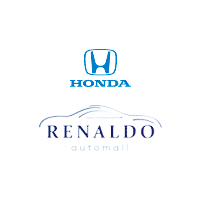 Come to Renaldo Honda in Shelby, NC, near Gastonia, NC and Gaffney, SC, to find the latest Honda you’ve been dreaming of. We have great specials on new vehicles that you don’t want to miss. You can browse through our entire inventory online, where you’ll find a great range of SUVs, sedans, and more. Come visit us today so you can take a test drive!